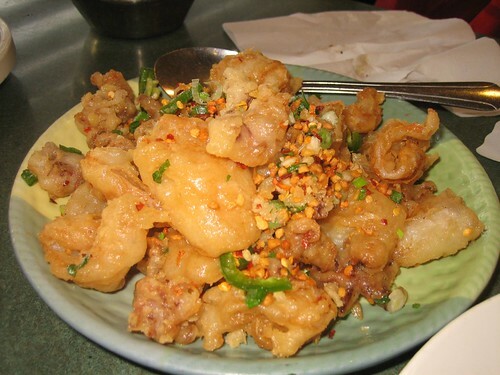 Hong Kong Wok is a casual Chinese diner owned by the same outfit that runs The Kitchen in Millbrae and Los Angeles, Asia Pearl, and another restaurant called New Canton in Sacramento. 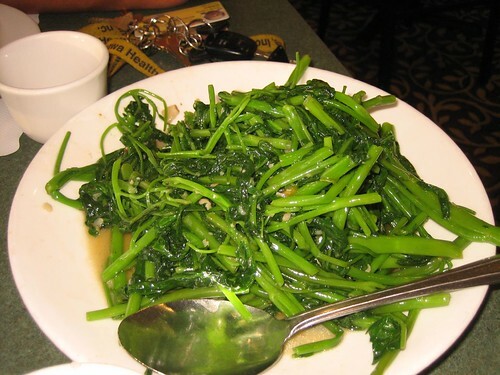 Unlike the other four restaurants, Hong Kong Wok has a completely different menu. 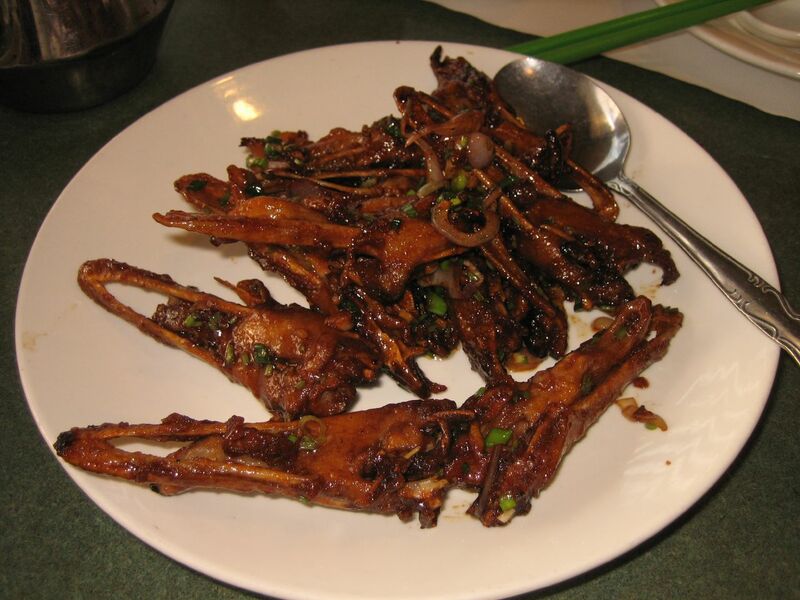 The casual diner-style offerings include Hainanese Chicken, Roast Duck, Bubble Tea, Duck Tongue, Spicy Salty Squid, BBQ cold plate with bbq pork, jelly fish and the like. The family set dinners are a very good value. A five dish dinner for four is only $28. Everything is just a little better quality than what you'd get at a typical Chinese diner. 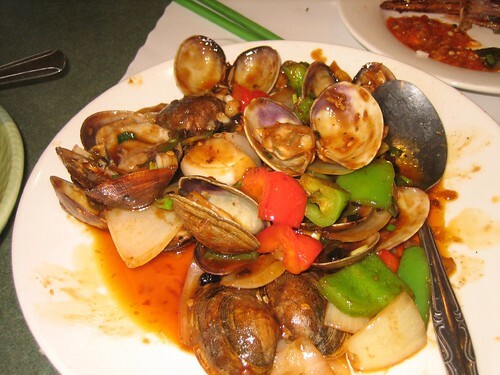 The clams with black bean sauce had some special flavor to it (perhaps hot oil or sesame?) The sweet green bean dessert soup had the essence of orange. 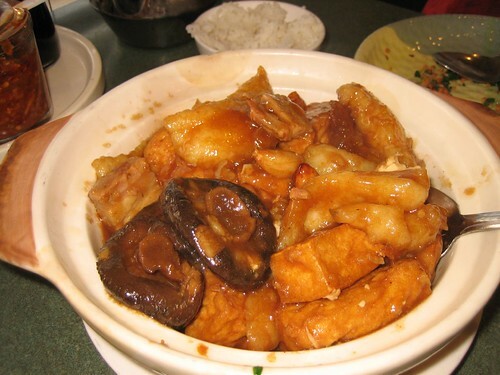 The cod and tofu clay pot was filled with large pieces of fresh cod in a sauce that was light and balanced -- not heavy and overpowering like many clay pots. The rib eye steak and mushrooms from The Kitchen is made here with a different cut of beef, but still very good. The seafood part of the menu actually has some of the dishes offered at the Kitchen and New Canton (with the same prices) -- the last time I had the Scallops with Tender Greens and it was cooked exactly like the one I had at New Canton with the exception that the scallops were not as large and fresh. I'm guessing that this is a training ground for the chefs so the cooking is the same, but the ingredients are the second pick from their larger more upscale big brothers.